L30 residents of the Region shared their memories from Lake Ontario to the south eastern shore of Lake Simcoe, from the eastern shore of the Rouge River to the shore of Lake Scugog. Located at the south end of Simcoe Street the park has extensive facilities for swimming, picnicking and relaxing beneath mature trees. A wide valley next to the Trans-Canada Trail at Cannington. An old railway line has been integrated into the Trans-Canada Trail system. Here a bridge crosses the Beaver River. Looking south from Skyloft Ski Resort across Lakeridge road to Scugog Township, Whitby, Oshawa and Lake Ontario. Lakeridge Road is a scenic two lane road that runs from Lake Ontario, across the Oak Ridges Moraine, past Lake Simcoe and ends in Beaverton. The Wildlife Preserve is behind the GM Building in Oshawa. At the footbridge between Ajax and Pickering. A small city park is the home to the Brooklin Harvest Fest and Summer Art Fest. The fast flowing water turns dark and muddy after a summer storm. 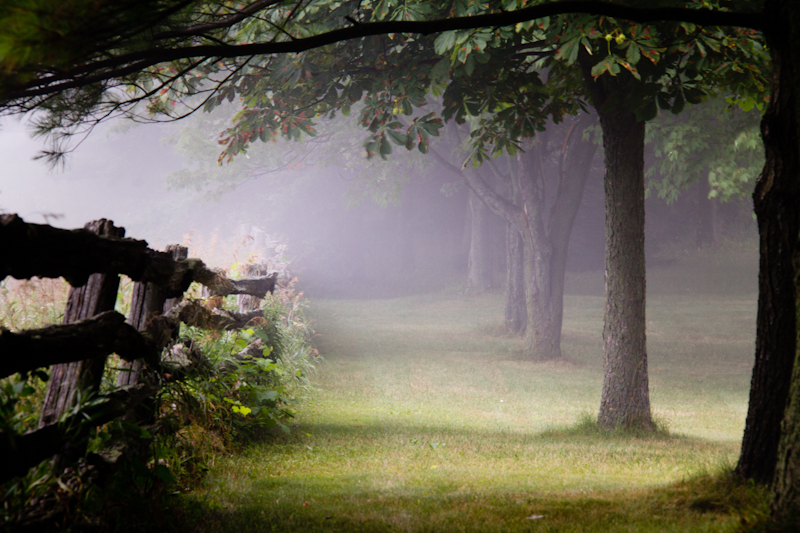 The mystery of early morning fog softens light and shadows on the Oak Ridges Moraine. A large tract of land which can be accessed from the Walmart parking lot in Uxbridge. An operating water-driven mill for nearly 170 years it is still operating today. One of the most elegant city parks in Durham Region. An old gravel pit finds new life in an almost secret place on busy Finch Ave.
High Point Road in Scugog Township just north of Ashburn offers beautiful views and whimsical scenes. Fascinating sculptures by Canadian artist Dorsey James highlight the paths in this park. A private cenotaph is the center of a moving Remembrance Day ceremony held annually. Summer storm clouds darken the Lake Ontario shoreline.